For some the fish is a powerful symbol. For others it’s a delicious meal. 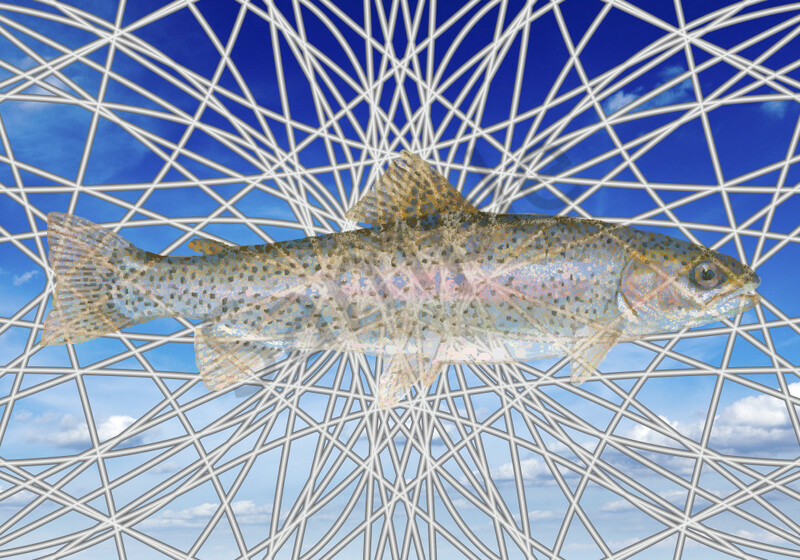 No matter your view, a Rainbow Trout is a beautiful fish and I thought I’d elevate it to a place in the sky with a cathedral-like lattice to accentuate its simple majesty. Perhaps it should be called A Fish Out of Water!